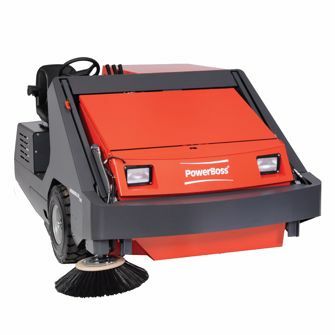 Cover more ground with the PowerBoss Armadillo SW10X Sweeper. The largest sweeper in the Armadillo brand allows for more cleaning coverage while maintaining great dust control. This reliable sweeper is built to a heavy-equipment standard generating a longer lasting product. Weight (with batteries): 4575 lbs.